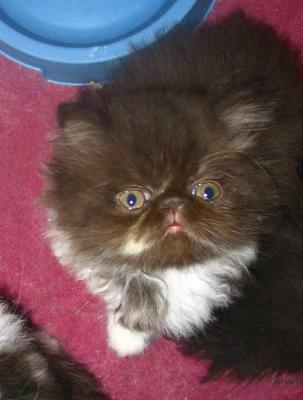 Sweetharmony (Sweet-Harmony) is a small PKD DNA/FeLV/FIV negative, cageless cattery with only a few kittens per year. We have been FIFe registered since 1993 and CFA registered since 1997. Originally coming from Switzerland, we are now located in Cyprus/Europe. Our passion? 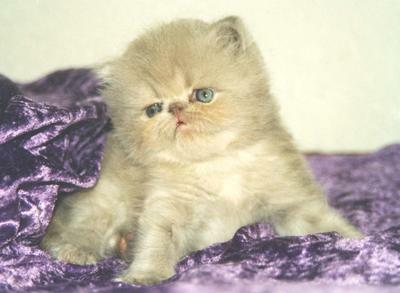 Persian Cats and Exotic Shorthairs in Chocolate and Lilac. Health is our priority #1. 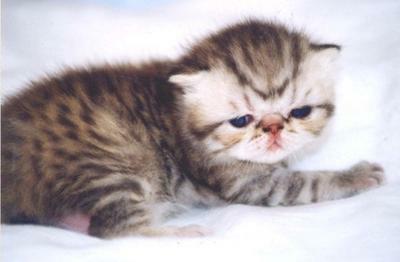 Our aims are: raising healthy kittens with that special sweet look and open expression in solid, tabby (also silver-tabby), smoke and bi-/tricolor (also high white). 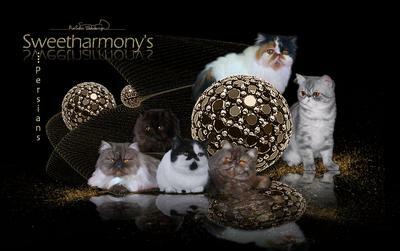 We try to combine well known top lines with Chocolate and Lilac cats in order to get perfect carriers that will be an advantage for the Chocolate and Lilac breeding program. It is not an easy way, but we love to be part of the Chocolate and Lilac family and help to improve those colors. All cats and kittens are part of our family and are getting our full love and attention. Shipping worldwide.